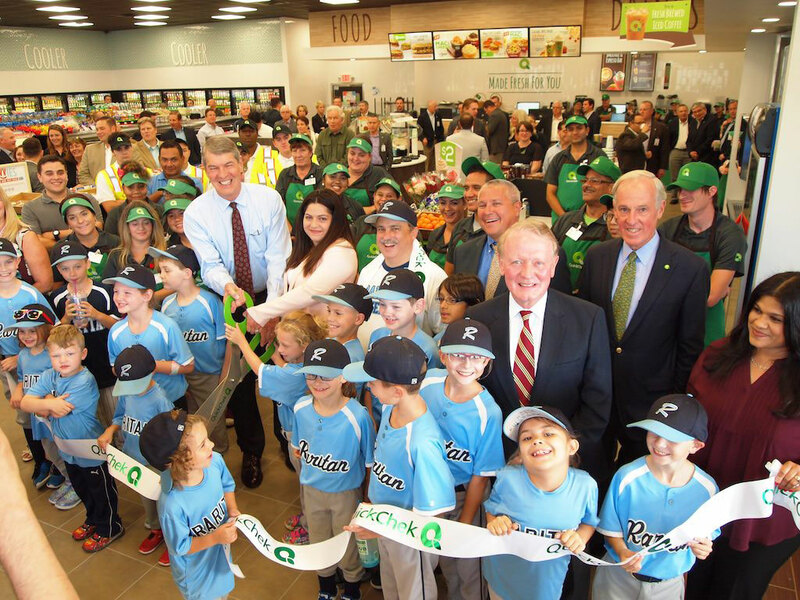 RARITAN BOROUGH, NJ — Continuing to redefine “fresh convenience,” QuickChek is taking its ability to provide fresh products and food-to-go to a whole new level. The Whitehouse Station, NJ-based fresh convenience market chain, a leader in food services with an exceptional fresh coffee and fresh food program that has been voted the best in America in a national consumer survey, will open a new 5,496-square-foot store located along the Somerville Circle at 119 Route 202 in Raritan Borough on October 2, 2018. QuickChek’s first concept store in Somerset County introduces a new design to meet the needs of today’s fast-casual shopper with more than 50% of the store dedicated to fresh food and beverages. The new store, the company’s second in the borough, will be open 24 hours a day, enabling customers to create delicious made-to-order breakfast items and handcrafted oven-toasted fresh QuickChek subs, sandwiches, wraps and salads and personalized hot and cold beverages exactly as they want them, or select freshly prepared ready-to-go items, any time of day or night. “We feel this new store design provides a better showcase for our high-quality, great tasting fresh food and beverage menu items as we continue to meet the ever-changing shopping and dining habits of today’s consumer,” said QuickChek CEO Dean Durling, whose family-owned company was named the 2016 National Convenience Store Chain of the Year by Convenience Store Decisions magazine in part due to its dedication to customer needs. The new foodservice menu features delicious, handcrafted restaurant-quality 6-inch subs and 9-inch premium original recipe sub sandwiches served on crispy artisan rolls, all made with the finest ingredients and freshest quality meats and cheeses; comfort food such as QuickChek’s new Mac & Cheese bowls; and introduces the company’s new seasonal caramel apple beverages as well as fresh-brewed, limited edition Harvest Spice coffee for the Fall season. Amenities in the new store include no-fee ATMs which provide additional added value to consumers; indoor seating for 11 people and outdoor seating for eight; 16 fueling positions offering high-quality fuel at value prices; and 86 parking spaces. Fast friendly service provided by locally hired team members, industry-first self-checkout counters and an expanding mobile ordering menu through the QuickChek mobile app further meet the needs of today’s on-the-go shopper. The new Raritan store creates 50 new local jobs, including eight management positions. Each new QuickChek location typically generates approximately $1 million in tax revenues, adding to its positive impact on the local economy. As does its commitment to giving back to the communities it serves: QuickChek will donate $0.25 for every sub, sandwich and wrap sold in the store from October 2-31, 2018 to the Raritan Little League baseball team. Grand Opening promotions include free large QuickChek hot coffee offered to all patrons from October 2-14, 2018. As an added value, all 6-inch QuickChek subs are $3 for a limited time and all handcrafted QuickChek smoothies and specialty drinks are $2 from October 2-14, 2018 and empanadas are 2 for $3 from October 2-14, 2018. Consumers can enjoy additional convenience and savings at any of the company’s 159 store locations throughout New Jersey, the Hudson Valley and Long Island by downloading the QuickChek mobile app at www.quickchek.com. The new Raritan store marks continued growth for QuickChek, which was named one of “America’s Best Employers for 2018” by Forbes. The fresh convenience market chain has opened 24 new stores and has hired an additional 1,100 people since 2015. It is the company’s sixth new store to open in the past eight months.